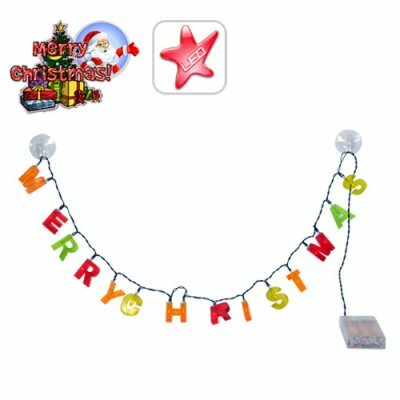 Successfully Added LED Merry Christmas Light - Illuminated Christmas Sign to your Shopping Cart. Back for a limited time only is the LED "Merry Christmas" lights- guaranteed to put a smile on your face and get you into the Christmas spirit! Cool LED Merry Christmas lights, spelling "Merry Christmas" for hanging in your home, office or at any bar or restaurant that wants to show their holiday spirit. This simple LED device uses 3 AA batteries and comes with 2 suction mounts for hanging on any wall in your home, office or restaurant. A simple, inexpensive and guaranteed way to capture the Christmas spirit. Hurry and order now while supplies last and we’ll get it to you before Christmas. Can be hung anywhere, with the use of the included suction cups. Does the LED Christmas lights need an AC wall adapter, or just batteries?